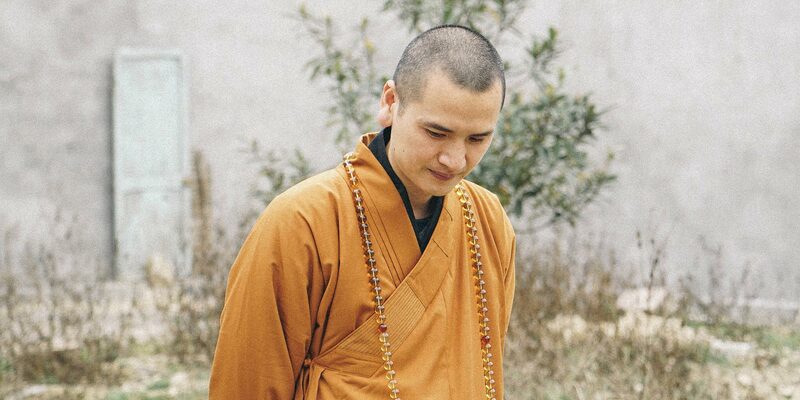 Young abbot’s millennial appeal sparks renewed interest in Buddhism. 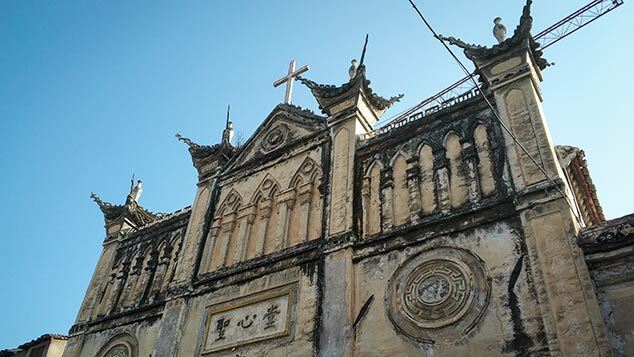 In addition to the fans — mostly female — who follow the abbot online, people come from all over China to Pu’an Temple in Zhejiang province to catch a glimpse of him. Across China’s social media platforms, the abbot, who also has duties in two temples in other provinces, has close to half a million followers. 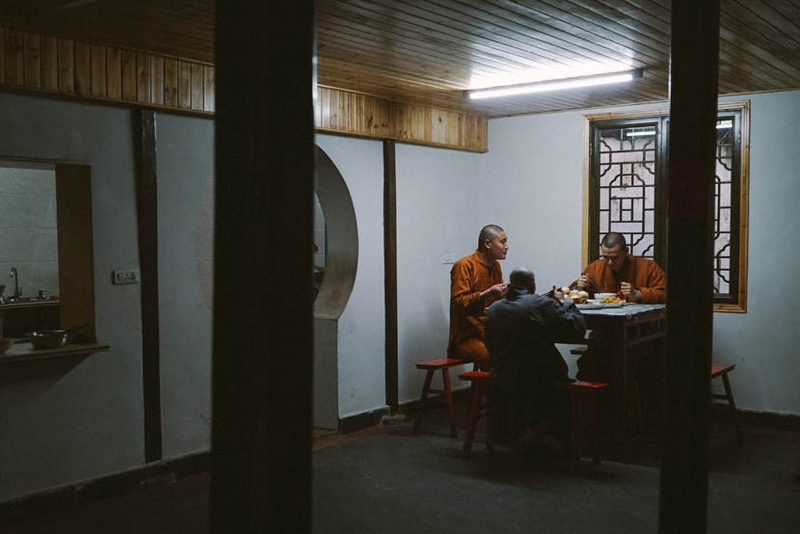 Gu Xingzhi, a 19-year-old student in Chengdu in the southwestern province of Sichuan, admits that she was drawn to Shi by his appearance while watching a 20-minute movie on Buddhism in which the abbot is featured. “I thought he was an actor, but later I found out he was actually the abbot at Pu’an Temple,” she said. Gu often visits temples with her Buddhist grandparents, but compared to most of the monks she had seen before, there was something different about this one. 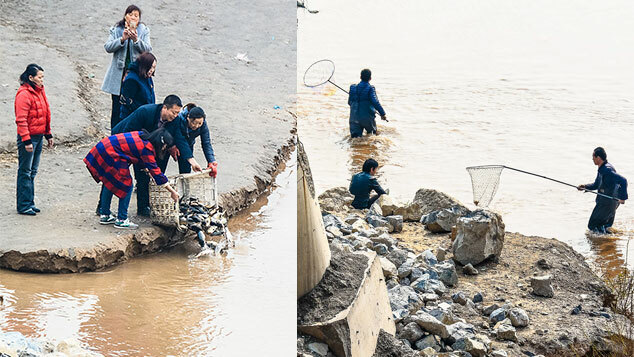 Abbot Shi — who went by the name Jin Hanjie before becoming a monk — was born into an ordinary family in Yantou Town, not far from the city of Wenzhou, the birthplace of China’s private economy. 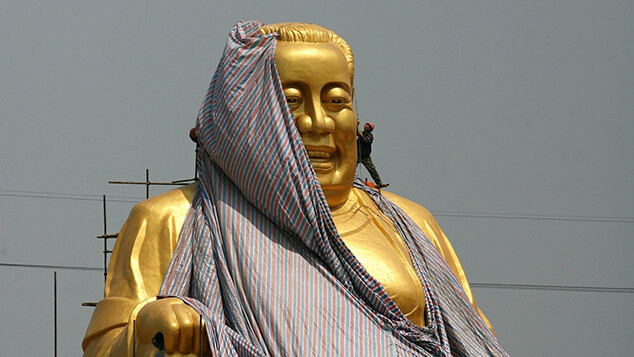 Shi said that despite there being a few ancient temples in and around the town where he grew up, people there lack an understanding of Buddhism. In fact, to his recollection there were no monks in the entire town. The unhappiness I suffered from could not be eliminated with money. I considered it a tragedy to be human. As a young adult, Shi seemed to have everything going for him. He was one of the top students in his town and a gifted video game player. He was also a huge fan of the Japanese manga series “One Piece” — so much so that he decided to begin studying Japanese on his own, eventually achieving the highest level of language certification. In 1999, he graduated from a vocational school with a degree in accounting and landed a secure, relatively well-paying job as a civil servant in the local government. Shi’s initial attempt to devote his life to Buddha ran into an obstacle: “My parents were strongly opposed to my decision,” he said. It didn’t help that the reputation of monks had diminished in the eyes of many Chinese. Residents in his town, for example, thought of them as lazy, greedy people who profited from the hard work of others. “My parents wouldn’t be able to bear the social pressure and ridicule if I became a monk,” he said. “I’m their only son, and they wanted me to have children and carry on the family line. They were afraid they wouldn’t get any grandchildren.” But the abbot didn’t want to get married, and he didn’t want children. “All I wanted was to be a monk,” he said. In late 2006, Shi ran away from his family’s home to a famous temple in a neighboring city, intent on realizing his dream of becoming a monk. But his parents tracked him down and insisted that he return home with them. “I had to temporarily bury my dream deep in my heart,” the abbot later wrote in an article published online. I thought all monks were straight and narrow, but [Shi] shares NBA video clips and watches Japanese movies. 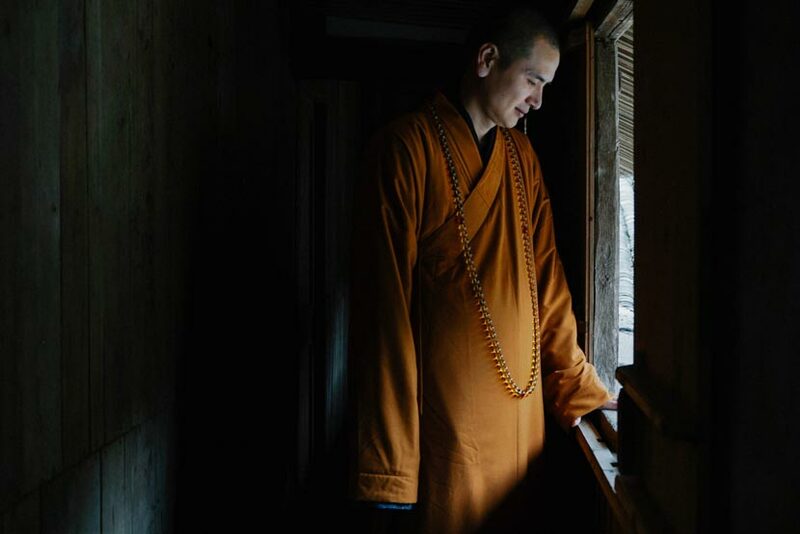 After three years of pursuing the monastic path, Shi finally took a big step forward by enrolling in Beijing’s Buddhist Academy of China in 2009. “It was my destiny,” he thought upon receiving the news that he had been accepted. After graduating from the academy, Shi returned to his hometown to administer Pu’an Temple. His goal was to further the understanding of Buddhism, which he believed many people were mistaking for a superstition or a martial art. “For me, real Buddhism is abandoning suffering and obtaining happiness,” he said. Shi felt an enormous burden of responsibility in his new role. “A real monk should change the world, just like Buddha, and strive to make it a better place,” he said. Many of Shi’s fans seem to worship him rather than the sage he serves. Some, for example, use his likeness as the screensaver for their desktop computer or smartphone; others create fan art or travel long distances just to shake his hand. But the internet and social media are also helping Shi to spread the good word. “I think it’s positive,” he said, referring to technology. “When I was planning to be a monk, I couldn’t find anyone to help me. I had to physically go to the temples if I wanted to talk to a monk.” These days, however, it’s relatively easy to find monks. Thanks to the internet, they’re accessible everywhere, from microblogging platform Weibo to live-streaming mobile apps. “In previous decades, our society’s impression of Buddhism ended at novels and TV dramas,” said another well-known monk, Abbot Yancan, who has 45 million followers on Weibo. “We should learn how to make full use of the communication tools available to us through modern media to find a way to bring the culture back.” Yancan became popular online when a video of him being harassed by monkeys while giving a speech went viral. He told Sixth Tone that in recent years, the most famous temples, including Longquan Temple in Beijing, have founded their own new media centers in an effort to adapt to the rapidly changing world around them. 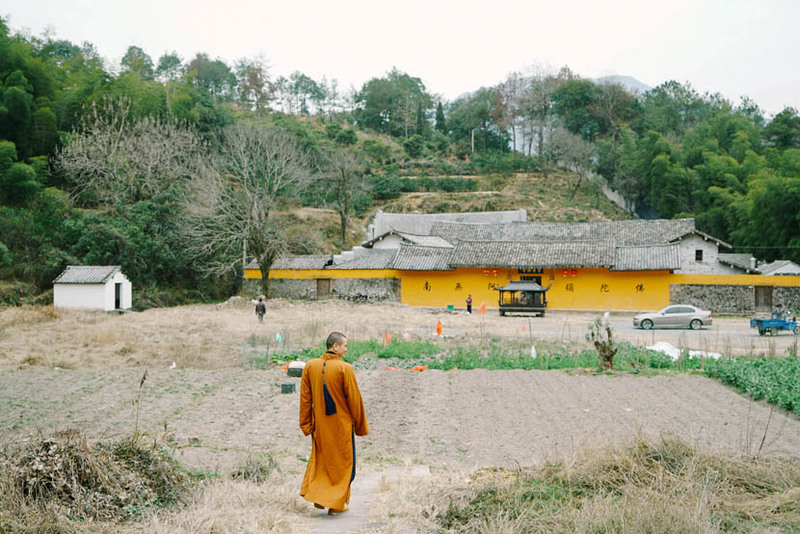 Still, in Abbot Shi’s case, fame appears to have been a boon: Since he arrived at Pu’an Temple in 2013 to rebuild it, more and more people have been visiting. The temple now has newly painted yellow walls, pillars engraved with Chinese calligraphy, and dozens of rooms for accommodating worshippers. There’s also a small vegetable garden in front of the temple, two large life-release ponds full of fish, and a small basketball court. New plans to expand the temple are in progress. In the meantime, Shi hopes to make a film about Kumarajiva, a great Buddhist monk, scholar, and translator who lived in the ancient capital of Chang’an — modern-day Xi’an — during the fourth century. Shi is quick to point out that his life is not all about glamor. “Being an abbot is hard work,” he said, citing his frequent meetings with government officials as an example. Abbot Shi, who seems used to such forward statements from fans, just turns to her and smiles. “I don’t think so,” he says.